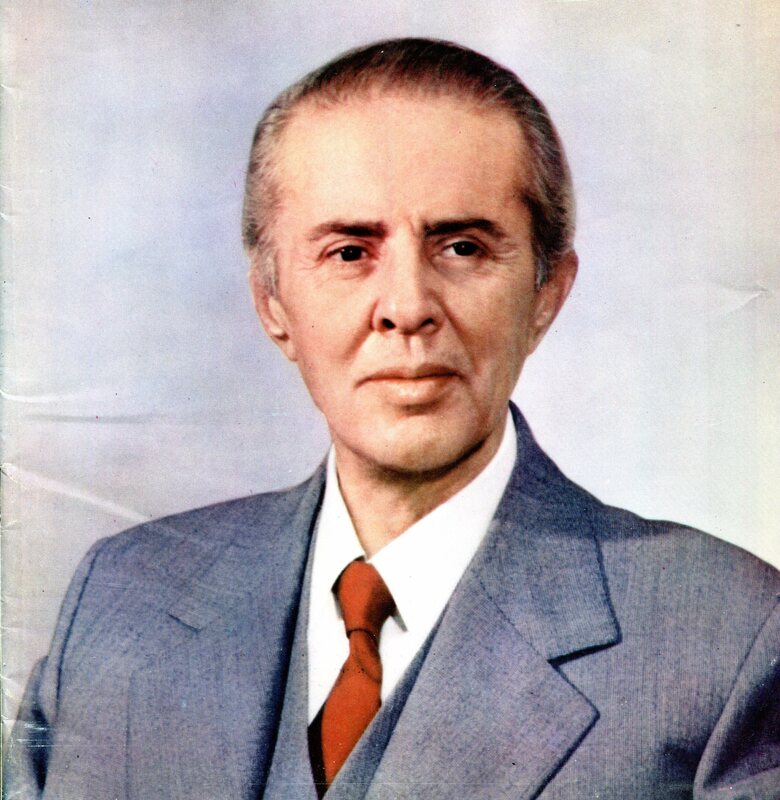 On this page I propose to make available for download a series of books that were produced (mainly in the late 70s or early 80s of the last century) containing some of Enver Hoxha’s Memoirs, Diary Selections and Compilations of Articles. Many of these would not have been published widely at the time they were written. 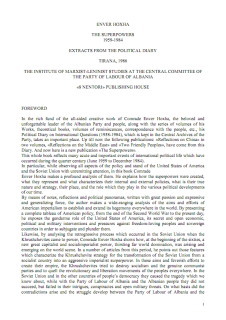 This is especially the case with those matters that are directly related to the Communist Party of China and the acrimonious break between Albania and China after the death of Chairman Mao Zedong. 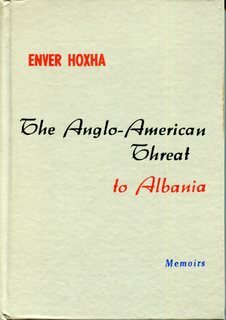 There are also some publications which may not have an obvious home on any of the other Enver Hoxha pages on this blog. Many have been scanned by the comrades at Enver Hoxha – His Life and Works and I am, again, very grateful for their work. 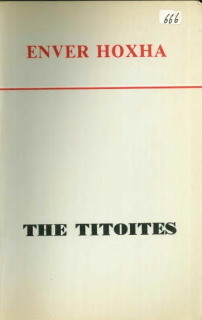 Covers the period 1962 – 1972. 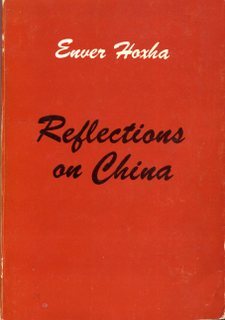 In this volume Hoxha expresses his frustration at the reluctance of the Communist Party of China to denounce, in public, the revisionism of the Communist Party of the Soviet Union (and most of the world’s established Communist Parties). 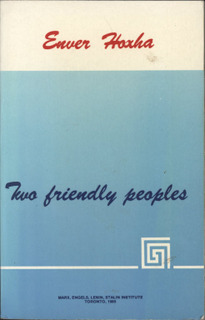 Covers the period 1973 – 1977. The relationship between Albania and China deteriorates (even before the death of Chairman Mao Zedong) and gets worse as the Chinese Revisionists, under the leadership of Deng Xioaping, carry out their coup d’etat. How the British and American Imperialists tried to determine that ‘friendly’ and ‘pro-western’ forces would triumph during the National Liberation War against Fascism and deny the Albanian People the fruits of their own struggle and sacrifices. This includes the so-called ‘Corfu Channel Incident‘. 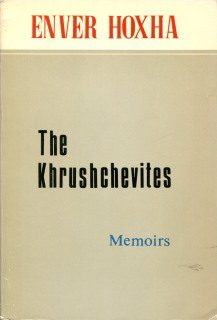 Speeches, reports, letters and radiogrammes from the period June – December 1960, in relation to the Moscow Conference of the 81 Communist and Workers Parties. 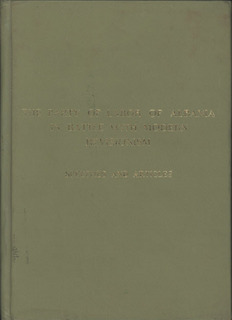 Memoirs covering the period from the foundation of the National Liberation Front in 1942 to the Proclamation of the People’s Republic of Albania in 1946. 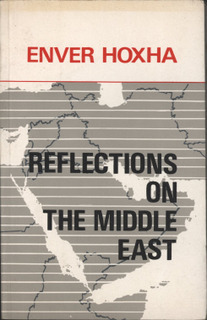 Extracts from the Political Diary of Enver Hoxha, covering the period 1958 – 1983, where he makes an analysis of the events the Middle East and how both the imperialists and the Soviet Revisionists tried to maintain their influence at the expense of the Arab peoples. 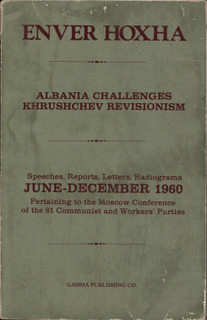 Covering the period from 1960 to 1969 this volume demonstrates the consistent approach taken by the Party of Labour of Albania in the struggle against modern revisionism, including the famous speech at the Meeting of the 81 Communist and Workers Parties in Moscow on 16th November 1960. 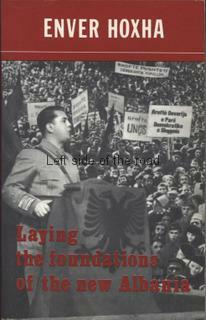 This volume presents extracts from the Political Diary of Enver Hoxha, from the period 1941 to 1984, dealing with the relationship between the Albanian and Greek peoples. Enver Hoxha’s analysis of the situation in the People’s Republic of China after the death of Chairman Mao and the restoration of capitalism in the one time workers’ state. This includes criticisms of Chairman Mao when the two countries, and leaders, were supposed to have had good fraternal relationships. Articles where Comrade Enver Hoxha analyses and exposes the inherent revisionist and capitalist nature of the Yugoslavian version of socialism, posed by the renegade Josip Broz Tito. Most of the analysis is of the situation that developed in the 1940s. 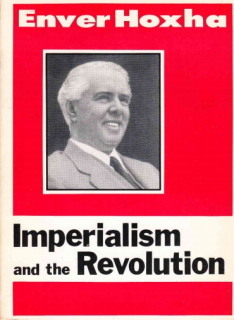 Comrade Enver Hoxha’s analysis of the struggle for world hegemony between the two ‘so-called’ Superpowers, the United States of America (USA) and the Union of Soviet Socialist Republics (USSR).